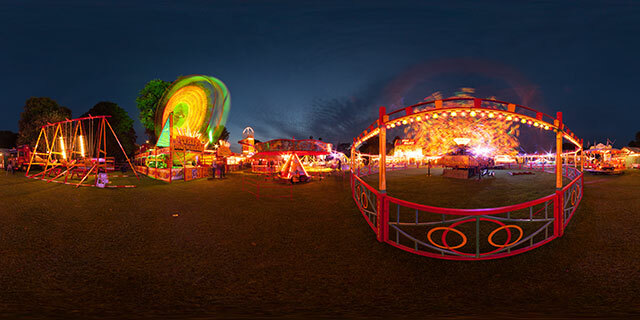 360° VR panorama of a funfair at night in Welland Park, Market Harborough, England. The moving rides blur into patterns of light as they move. The nearest ride is the Super Octopus Ride, run by Perrett’s Amusements. Nearby are also a swing boat ride, a chair ride, and Mallyon’s Big Wheel. 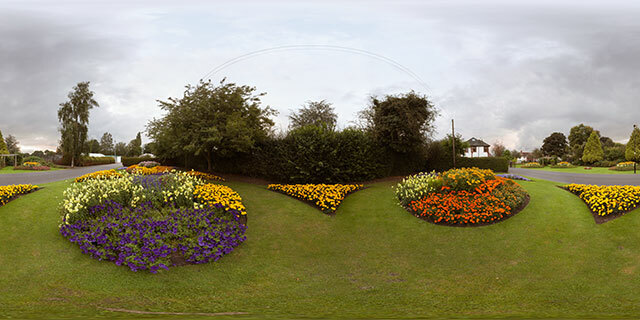 Welland Park is located near central Harborough, a relatively short walk from the shops. Fun fairs like this are held in the park occasionally, on a flat area of grass in the west of the park. 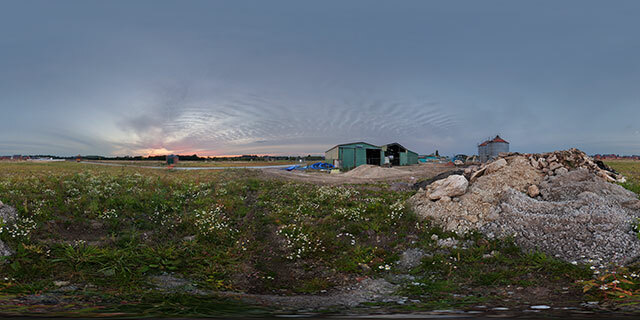 360° VR panorama by a pile of rubble at twilight in Farndon Fields, Market Harborough, UK. 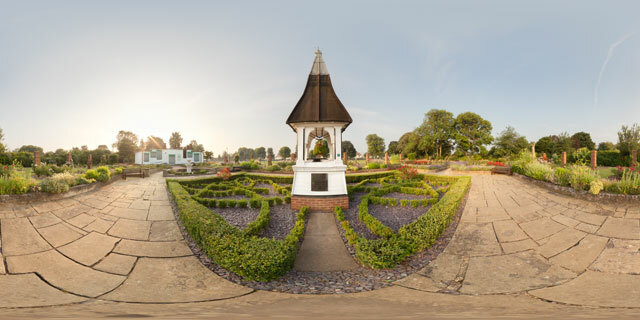 Farndon Fields is currently being developed, with several developers building houses in the area. The nearby silos and barn buildings have been fenced off for demolition as part of the development. 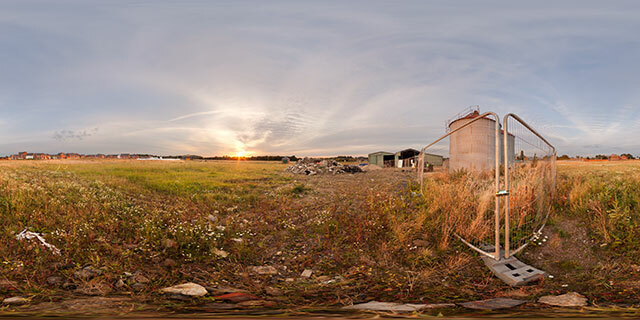 360° VR panorama by a couple of corrugated steel silos in Farndon Fields, Market Harborough, UK. 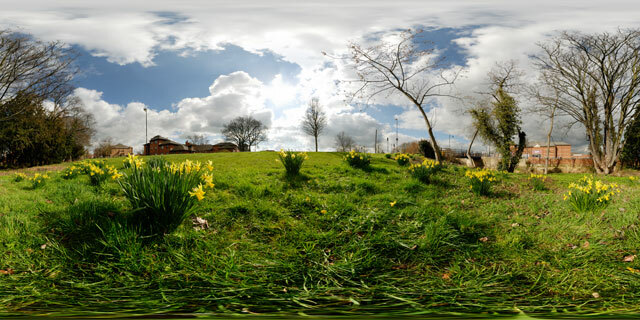 Farndon Fields is currently being developed, with several developers building houses in the area. The nearby silos and barn buildings have been fenced off for demolition as part of the development. 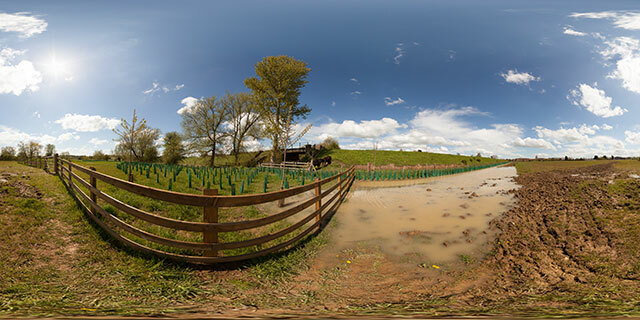 360° VR panorama of a large puddle at the end of a ditch in the north-west corner of Farndon Fields, Market Harborough, England. The River Welland runs alongside part of the field, and can sometimes cause flooding of the area. Farndon Fields is currently under development, and the developers have built a number of flood defences, which seem to have coped well with the April rain so far. The ditch area at the north of the field shown here is probably not complete yet (since it doesn’t go anywhere). To the north of the field is an embankment that used to carry the Rugby and Stamford Railway line. 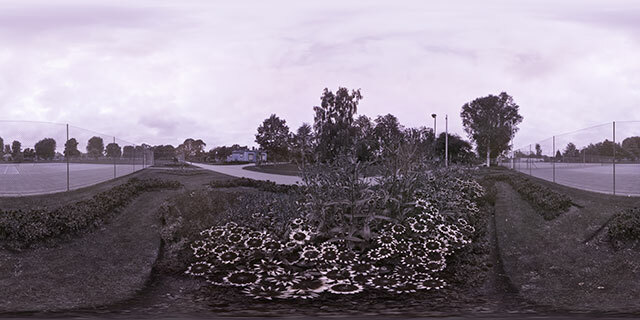 Currently it is used as pasture for a few farm animals, in this image a couple of bullocks can be seen. 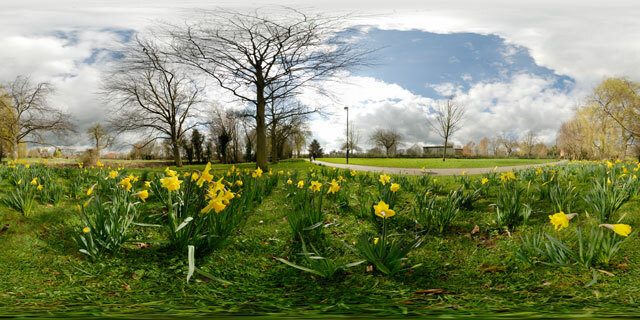 360° VR panorama of daffodils flowering in early Spring alongside the Millennium Mile footpath in Market Harborough, Leicestershire, England. 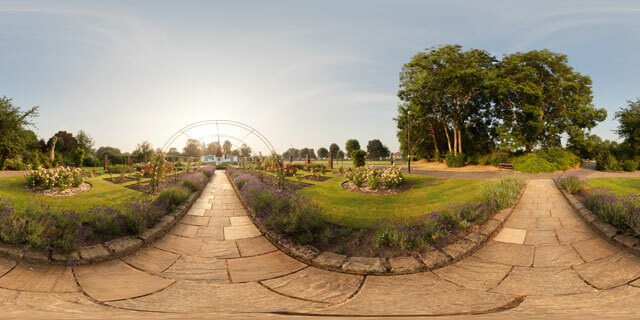 The Millennium Mile route runs alongside the River Welland, going from the east of the town to the edge of Welland park in the west. From this position, the B&M Bargains store (previously Marks & Spencers) can be seen across the river to the north, while Oaktree house sheltered accommodation is to the south.